A 345-year-old department store may not be the expected hunting ground for the latest indie cosmetics most people have never heard of. But with its new Beauty Underground concept space, that’s exactly what Hudson’s Bay plans to be, as it expands beyond familiar, traditional counters. 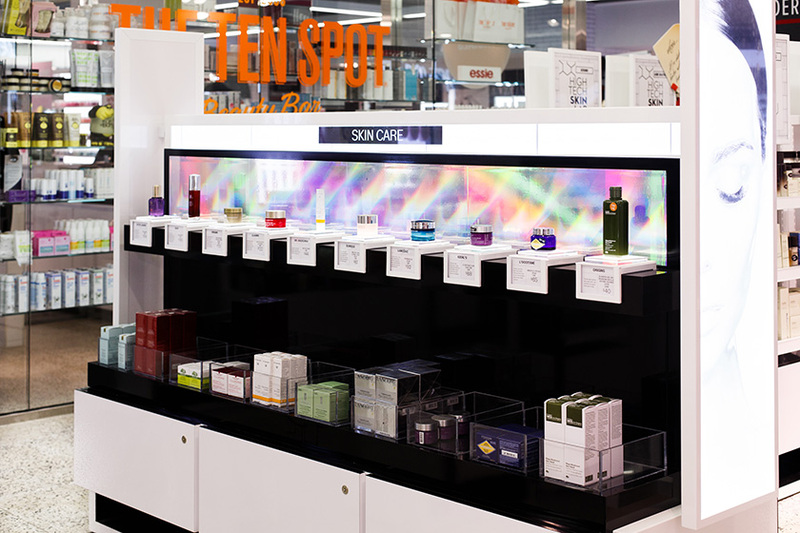 Tucked in the high-traffic concourse of its Queen Street flagship in Toronto, the 3,650-square-foot area offers an edited array of staple brands that perform well on the main beauty floor (M.A.C, Clinique and Kiehl’s among them), while also acting as an incubator for beauty exotica that’s hard—or impossible—to find anywhere else in Canada. 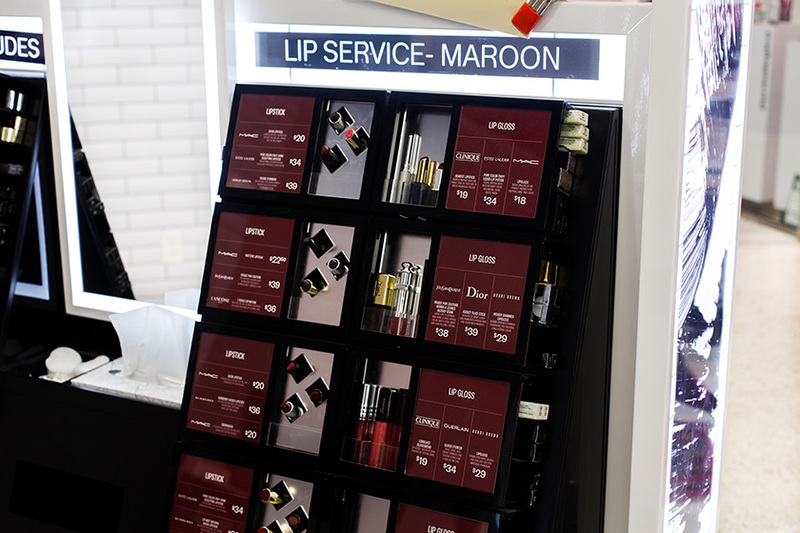 “It’s for both beauty junkies, and for people who are maybe intimidated by [conventional] counters,” explains Shelley Rozenwald, SVP of cosmetics at Hudson’s Bay. In the new space, novel offerings include cartoony-cute TonyMoly skincare and makeup from Seoul; Baby Foot, an AHA-based peel that causes feet to exfoliate like a snake sheds skin; NeuLash, a growth serum for lashes and brows; Rebels Refinery and King’s Crown, both Toronto-based men’s grooming lines; and Sigma Spa’s innovative silicone gloves for cleaning makeup brushes. The selection will regularly evolve according to consumer demand, says Rozenwald. And in some cases, the department may choose to carry just one hero product from a company—a strategy that enables Hudson’s Bay to test the waters and take a low-stakes chance on a niche or newbie player. While the big, glossy installations in the beauty department upstairs will remain the hub for getting full-service pampering and the “true brand experience,” Beauty Underground will be a fast fix for those demanding retail simplicity and convenience (hence the 7 a.m. opening time on weekdays). “The millennials absolutely love this, but so do the older generations who are in a hurry, who want to replenish, who want a gift, who want an impulse buy,” says Rozenwald. The fragrance zone, for instance, isn’t a daunting jumble of options. Instead, bottles are organized under plain-talking signage—say, “Woodsy Scents for Him”—so consumers can quickly pinpoint what they want. Lastly, set in the heart of the action is the newest Ten Spot, offering manis/pedis, facials and hairstyling. 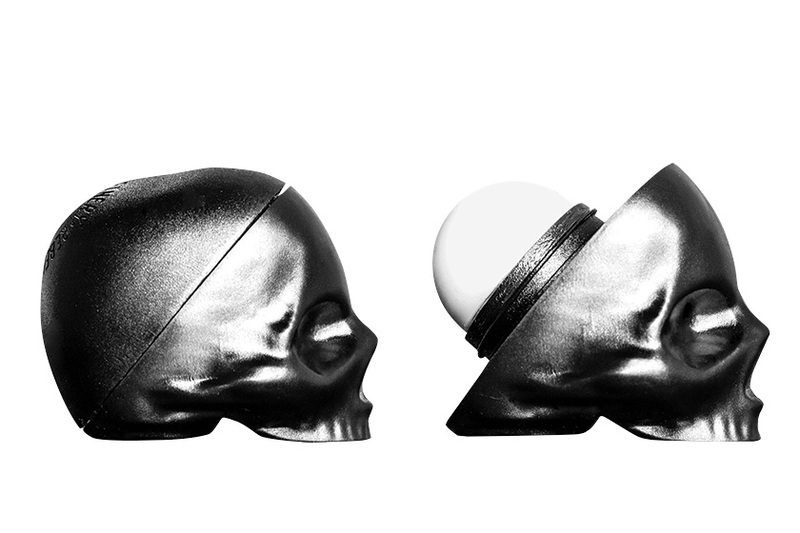 If the Beauty Underground concept proves a hit, expect a wider rollout to come.